An increase in container traffic boosted an otherwise poor first quarter for the port of Rotterdam, with overall volumes falling 1.2% year-on-year. Although non-containerised freight volumes dropped, the number of boxes passing through the Dutch gateway ticked up 6.1% to 3.5m teu. This number is some 1m teu ahead of neighbouring Antwerp, but the rate of growth was far slower than the Belgian port’s 10.7% increase reported last week. Chief executive of Rotterdam port authority Allard Castelein said: “The continued growth in containers is a confirmation of our increasingly important position in the maritime connection networks of large shipping alliances. In a statement, the port pointed to the restructuring and amalgamation of the three shipping alliances as having had a positive impact on container volumes. 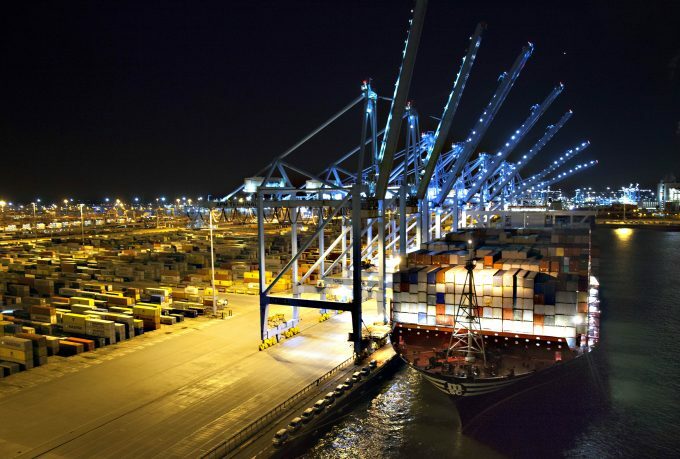 One industry source noted container growth at both Antwerp and Rotterdam was likely coming at the expense of Hamburg, which reports its first quarter numbers on 14 May. “Following the restructuring, the alliances have focused their attentions on Antwerp and Rotterdam to the detriment of Hamburg,” the source told The Loadstar. The statement from Rotterdam went on to note that increased concentration of cargo had also bolstered feeder volumes. These, the statement claimed, were up 7.5% – described by the port as a “significant” increase – to 0.6m teu over the first three months. New connections into the eastern Mediterranean also led to a 6.9% increase, to 0.7m teu, in shortsea throughput over the three-month period.